This group has its own rank grading system. When Juniors turn 14 years old they move up into the teenage group and train together with the adults. Their rank is adjusted accordingly.. The Benefits of Intermediates training with Adults. Fitness is built up with regular training. Merely turning up for class is not going to work on this aspect of what we offer. Students are expected to ‘work’ for what they want. Building core strength is important without concentrating on ‘body building’. Strength in the legs, stomach/abdomen and arms are important and will be developed. The variety of physical exercise is greater and more demanding than the lower age groups. Confidence is developed by building on self-esteem. 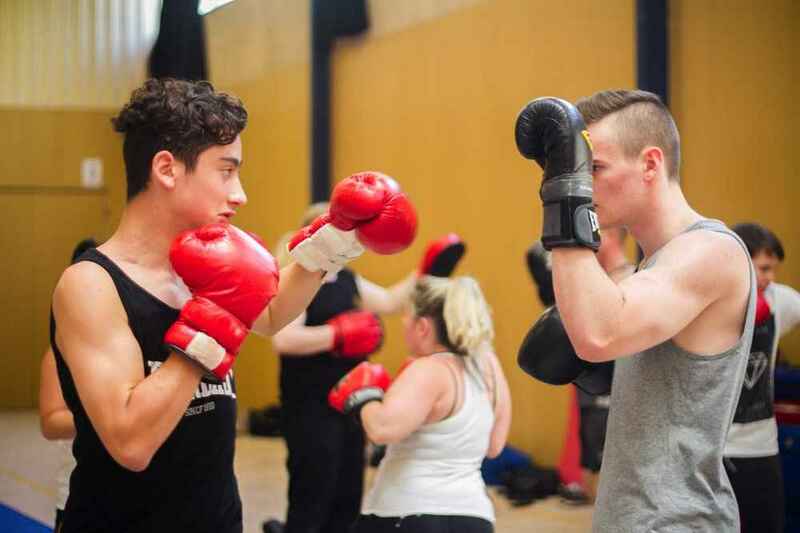 This is achieved after training consistently and learning basic self-defence skills. This knowledge and skill allows children to not be intimidated. A lot of children are shy. We nurture them into believing in themselves. With the support of parents we bring them ‘out of their shell’. Remember, a bully will never pick on a confident person. Self Defence skills are more advanced with this group. 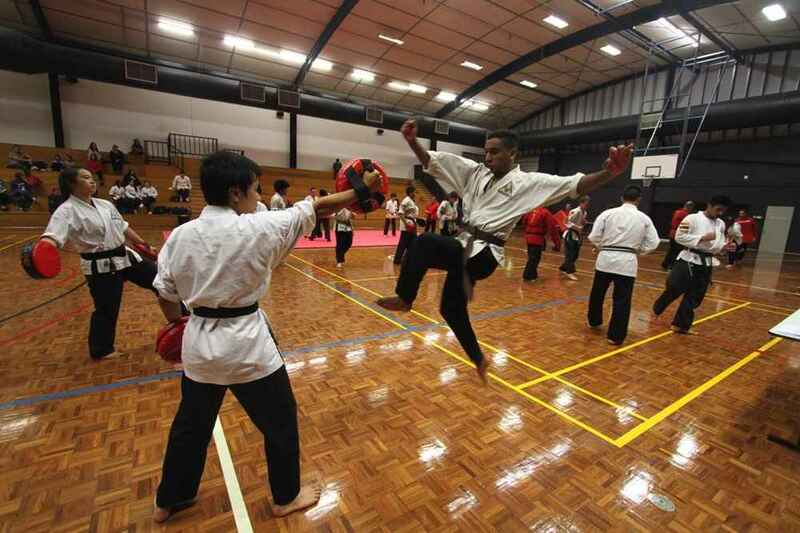 The skills are based on basic karate but involve some techniques from Silat, Aikido and BJJ. Students are taught to break their fall if ever tripped over. This skill also doubles for practicing their throws and ‘take downs’. These self-defence maneuvers are taught and practiced in a safe and controlled environment. Confidence is developed by building on self-esteem. This is achieved after training consistently and learning self-defence skills. This knowledge and skill allows students not to be intimidated. A lot of children are shy. We nurture them into believing in themselves. With the support of parents we bring them ‘out of their shell’. Remember, a bully will never pick on a confident person. Camaraderie amongst the students is an important aspect of their development. Knowing that they share a common interest and goal. Personal development should be their goal. This is very closely linked with their ‘social ability’ or life skills and their confidence. Respect for other people and property is learned through the instructors but must be supported by the young student’s parents. Bad behaviour is never tolerated. Always accepting that there is a higher authority that must be respected for their knowledge, wisdom and skills is a virtue that is learned quickly. The level of respect expected from Teenagers is greater than what is expected from a Junior. This is a gradual development into a well adjusted member of our community. If a Teenage student does not conform to the expectations of Lion Bushido Karate Academy they may be asked to leave. Discipline is achieved through dedication and learning to respect others. Focusing on practicing Kata helps to develop this virtue. Staying focused on getting the job done without being distracted by others is a skill we help our students develop. Fun is something we all want and need. The instructors and students always share a good laugh. Quite often games are run as part of a warm up. These games are always based on agility, speed and often teamwork. 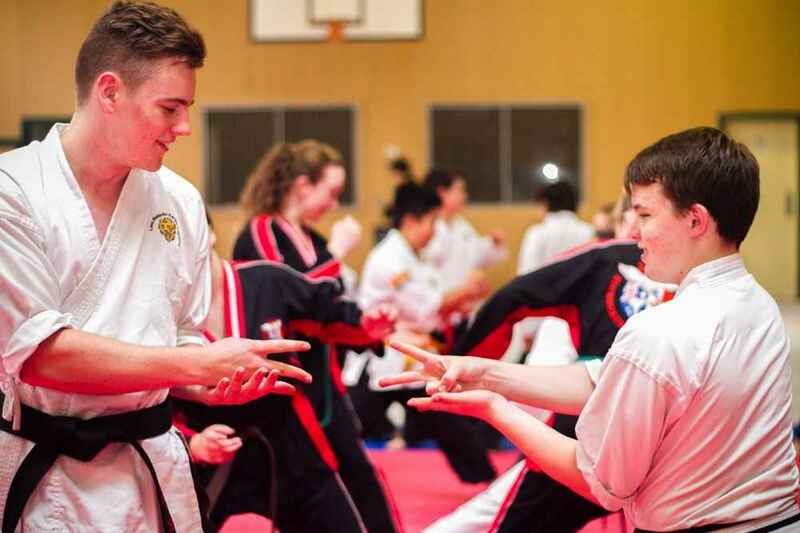 The friendships developed in the Dojo are strong with social activities organised occasionally. Code of Bushido means The Way of The Warrior. It is a set of rules that we must follow. These rules are demanded of our students. Are you ready accept the challenge? And take the journey of learning the ancient art of Karate?